Favourite pro of the lot: not only are all the products mentioned next are chemical-free (for which your skin will thank you endlessly), but they are also pocket-friendly gifts from Mother Nature. Win-win situation. Remember all those stories about Cleopatra using milk for her luxurious baths? Turns out that the beauty queen from the past knew that the fat and proteins in milk, especially whole milk, can help hydrate and allow skin to retain moisture. 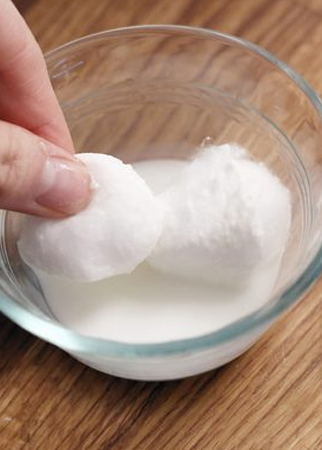 Just dip a cotton ball in milk and apply all over your face. Let sit for 5 minutes to allow makeup to ‘loosen up’ and wipe it off with a wash cloth or cotton ball. Till next time with more beauty tips, signing out with wishes for a radiant glow for y'all!